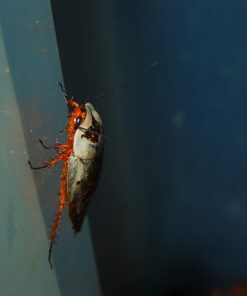 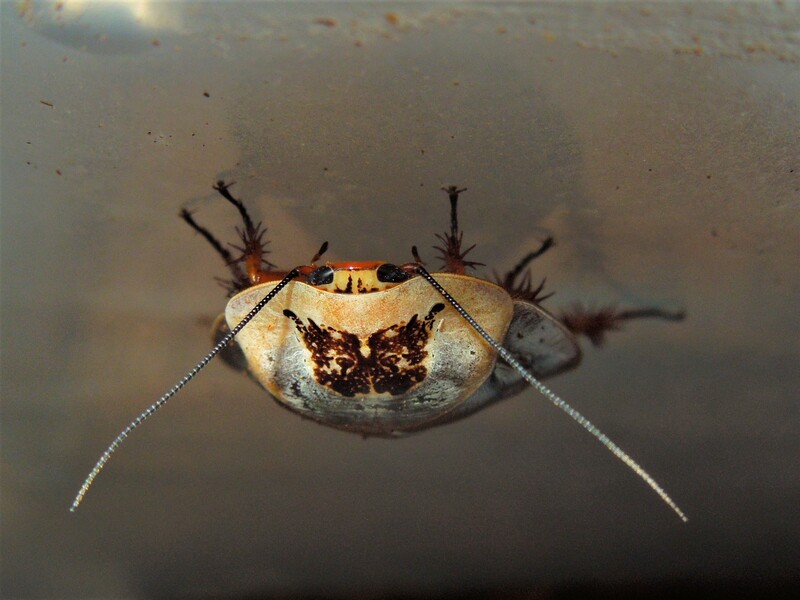 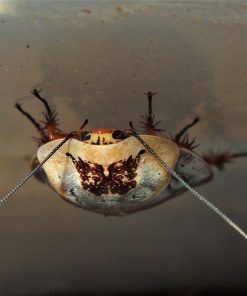 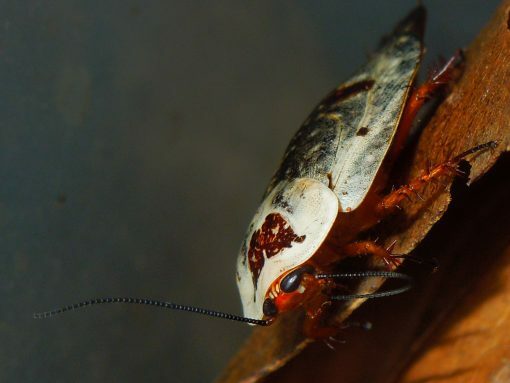 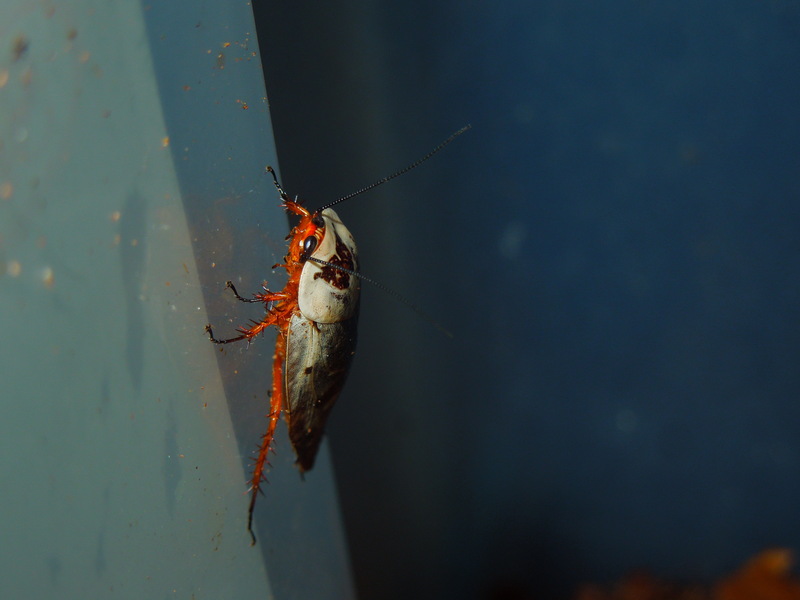 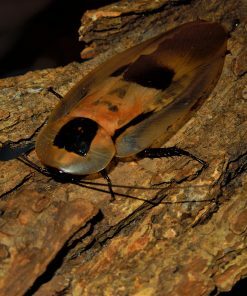 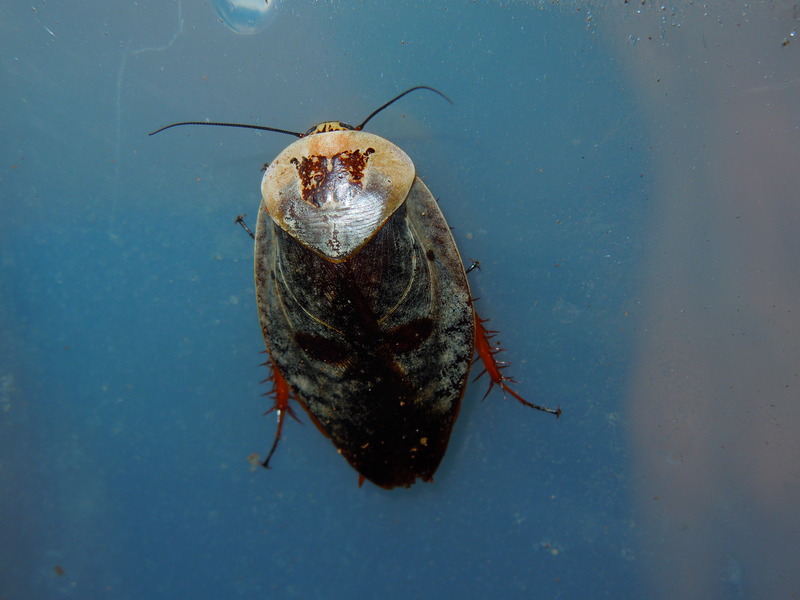 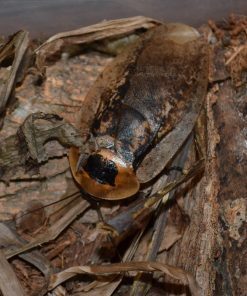 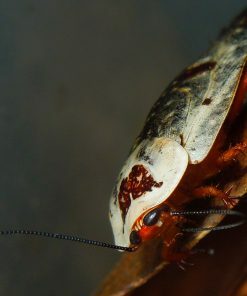 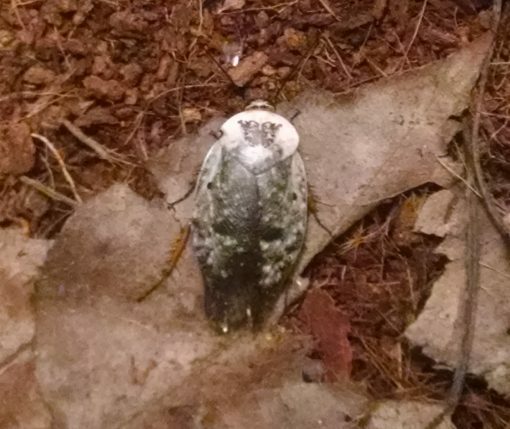 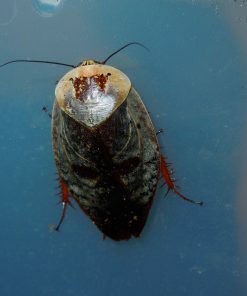 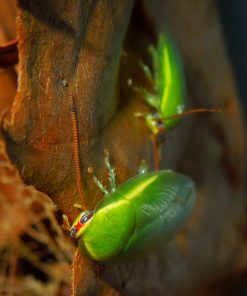 Chrome roaches make great feeders, but they are often kept as pets because of their beauty. 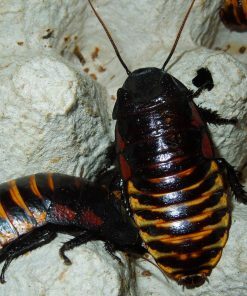 Nymphs are peppered with a black and white pattern. 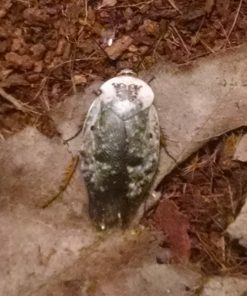 Adults have ornate patterns on their pronota and have wings that are designed to camouflage with the leaves. 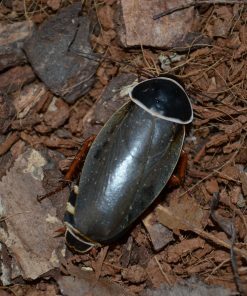 This species appreciates dried leaves to eat as well as vegetables such as carrots, potatoes, or apples. 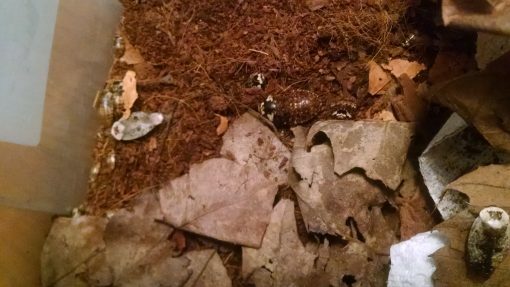 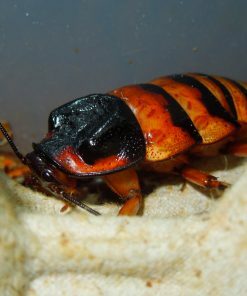 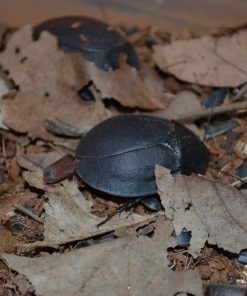 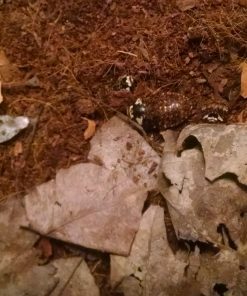 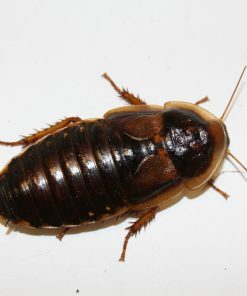 These roaches should have a substrate like coco fiber to hide under.